The soil erosion is considered as one of the most serious environmental problem in a global scale. The development of the process could have negative impact on water, vegetation and ecosystem as a hole, as well as to influence on the quality of life. If the process is not mitigated in long term it could change the topographic surface and to trigger geomorphological hazards. The researches on soil erosion require analyses of large volume of information about soil properties, topographic surface, precipitation and land use. In the current research GIS technology is used for building the data base, spatial analyses and visualization of the results. The Universal Soil Loss Equation (USLE) is applied in Map Algebra and spatial distribution of soil loss is presented. The results are considered in relation to land use, particularly arable lands and vineyards. The application of computer technology provide opportunities for easy processing of data and updating the model by adding new data which can be used by territorial planning experts, local authorities and farmers in the planning process, monitoring and mitigating the soil erosion. 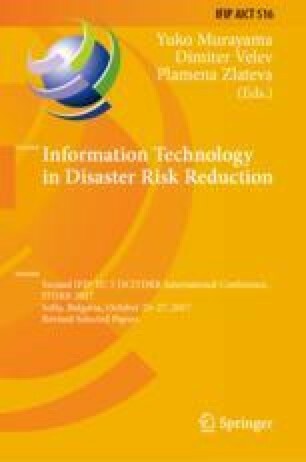 The authors express their gratitude to the Bulgarian National Science Fund for the partial financial support under the Grant № DFNI - I02/15 from 12.12.2014, titled “Information System for Integrated Risk Assessment from Natural Disasters”.